Co-owners Chuck Zacney and Glenn Bennett and trainer Butch Reid have reached an agreement with Jose Ortiz to ride the top GI Kentucky Derby contender and ‘TDN Rising Star‘ Maximus Mischief (Into Mischief) in the Feb. 2 GII Holy Bull S. at Gulfstream Park. He will replace Frankie Pennington, who has ridden the colt in all of his previous three starts and is the top jockey at Parx Racing, where Maximus Mischief is based. 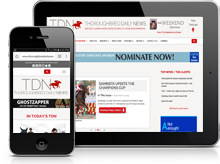 The TDN was not able to reach Pennington for comment. Zacney admitted it was a tough decision. “It was a decision made by Butch, the trainer, Glenn Bennett and myself and we had the discussion and the three of us believe this is a once-in-a-lifetime opportunity and we wanted someone who is more familiar with Gulfstream Park and Churchill Downs than Frankie is. He really just rides at Parx,” the owner said. If all goes well in the Holy Bull, Maximus Mischief’s next start will be the GI Florida Derby Mar. 30. The colt broke his maiden at Parx and then won an allowance race at the same track. 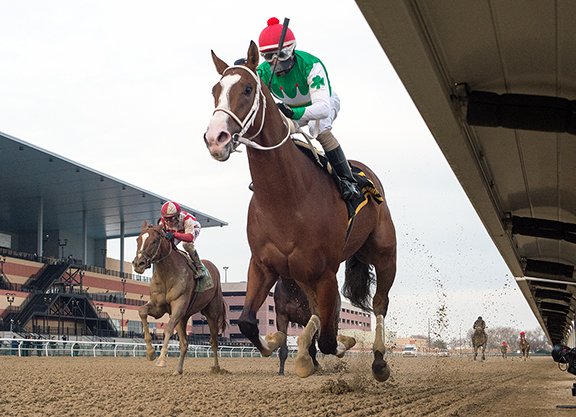 His big test came in the GII Remsen S. at Aqueduct. With Pennington aboard, he cruised to a 2 1/4-length win. While not well known outside of Parx, Pennington has been one of the most successful jockeys in that track’s history. In 2018, he won his fifth-straight yearly riding title at Parx, a feat no other jockey has accomplished at that track. However, he has never ridden in the Kentucky Derby and he has never won a Grade I race. The Remsen was his lone career Grade II win. Pennington may not want to give up hope on getting back on Maximus Mischief as there is precedent when it comes to Zacney replacing a lesser-known rider and then going back to him. Zacney replaced Jeremy Rose in favor of John Velazquez when running Afleet Alex (Northern Afleet) in the GIII Rebel S. at Oaklawn in 2005. After the horse finished sixth in that race, the stable went back to Rose, who was aboard for Afleet Alex’s wins in GII Arkansas Derby, the GI Preakness and the GI Belmont.